The Sunday Post | No.4 | Jorie gets knitty during lightning storms, falls in love with Hachette colouring books & devours audiobooks! Before she unexpectedly took a hiatus from blogging! acquires a knitting injury & devours audiobooks! Whilst finding lightning storms to be a true consternation when attempting to B L O G! IF anyone were to ask me what is my main bone of consternation during the [Summer] it would be simply L I G H T N I N G – the wicked awful curse of having MAJOR electrical storms which not only muddle my connectivity but they simply eradicate all HOPE of having a regular blogging and readerly life during the Summer, even if said blogger makes ill attempts to circumvent the insanity by pushing her blogging hours past the brink of what is healthy and upturnts her hours to where I think only midnight staff and truck drivers would understand her woes! The key issue truly is how nauseatingly frequent they are now and how intense they are on arrival – these are not light storms with infrequent lightning – no! their the kind of storms where the electrical girth of electrical field is so wide and so boldly illuminating in the skies, you wonder if / where it strikes, how any living thing could survive the voltage! Austen In August | This Janeite steps out from behind her blog whilst reading select works of Austen! Call-Out for Participants *wherein I started to make plans! If you’ve been digging round my Story Vault or stopping by #JLASblog for the past four years – you’ve have gained the strong impression I have a particular curiosity about Classical Literature! You might have even noticed a strong passion for Jane Austen – wherein, I’ve been happily participating in this lovely book blogosphere, twitterverse (and this year: Instagram) event! Being I’m a Joyful Tweeter and bookishly bubbly book blogger – you’ll happily find my participation in the blogosphere and Twitter! This August marks my 4th Year attempting to curl into the wicked lovely world Ms Austen left for us to explore and discover new characters to love whilst we step back into her corner of English society! I decided to do things a bit differently this year – although, I suppose looking back at my past #AustenINAugust* posts I might have appeared to be quite ambitious in how I wanted to absorb so many dear lovelies by Ms Austen and her Contemporary After Canon writers – however, each previous August I felt I would have HOURS to devout to the reading and blogging event – therein, I made my cardinal mistake! If you factor in the life of an active book blogger (ie. a regularly booked blog calendar), life’s unexpected diversions and the high frequency of Summery (lightning) storms – you could say, attempting to accomplish anything during this volcanic Season would seem rather futile! However, I’m a bourne optimist which is why each Summer I try to do the impossible even if I falter to achieve all of my goals – I make an effort to do as much as I can and not let set-backs derail my intentions. You might be curious to know – what is Jorie doing differently this year?! I’ve decided to sort out a shorter list of #mustreads for #AustenINAugust – the stories I wasn’t able to read (for whichever reason which affected my readerly life per each August I attempted to read the lovelies) until my second favourite annual bookish event came back round! (you might have heard of #RRSciFiMonth?) I thought this would be a good year to attempt to be a Guest Blogger for the event, too! I cannot even express my wicked sweet JOY in finding out I was picked to write a guest topic for Adam – as I have held such a deep appreciation for not only how he hosts this annual event but for the selections of guest bloggers who have entertained me, educated me and generally given me such a hearty knowledge of Jane Austen and the continuing legacy of how she touches readerly and writerly lives all these centuries lateron since her stories were first published and known. It’s quite the special event – bloggers get to engage with fellow Austenites and Janeites (personally I relate to being called the latter) whilst fellow readers who love Classical Literature get to drop by our blogs and/or join in on the reading challenge of R E A D M O R E A U S T E N for one month every year! Truly remarkable how Adam has brought of all us together – especially considering we’re global bloggers and readers! Therefore, let me give you a sampling of what you will be seeing from me this year – as I’m holding a few surprises back whilst revealling my main plans of what I will be focusing on as August renews my passion for Austen! *NOTE: Throughout my blog I reference this annual event as #AustenINAugust, however, I am participating in Roof Beam Reader’s event which is happily conversed about on social media tagged as #AustenINAugustRBR. There are different events happening each August which use the general tag. I’m being mindful to remember how to tag my tweets whilst keeping my personal reference on my blog as the original tag. If I’ve confused you, I apologise. The Sunday Post | No.3 | I am so wholly consumed by “The Woman Who Breathed Two Worlds”! I am so wholly consumed by “The Woman Who Breathed Two Worlds”! I can honestly say, the ONLY book I have been reading this week is Ms Siak’s – of which I was even talking about during #ChocLitSaturday – as once you find a story whose narrative has a way of washing over you to such a degree of joy, you find every opportunity you can to talk about it. I was also trying to inspire some readers to pick it up for themselves, as it’s one of the most beautiful cultural exchanges of tradition and identity. I am truly captured by the metaphoric folklore, the dramatic story-line and the way in which Chye Hoon continues to grow, mature and develop as a woman on the verge of different transitions in her life. Not just in girlhood but also to mumhood and finding the strength to realise her own worth in what she can do to help her family. It’s one of those stories you cannot read quickly – the narrative is dense and alive with this woman’s life story to where you want to let her experiences soak through you in order to gain the full effect of the novel. Whilst I wasn’t reading this story, I was thinking about what I wanted to talk about during my guest post for #AustenInAugust – as this was the first year I decided I might fancy contributing something to the event. I do not often write guest features on blogs, but this year, I felt I might give it a try and I ended up with a piece I am hoping others can relate too. I caught sight of a way I could start to work on my own writings – a new idea which materialised to mind and heart as soon as I saw a project I wanted to become a part of – if I could – which has a bit of a tight deadline. I am going to start to flesh together my initial idea this week and next, whilst honing in on the research I want to do to make sure I get things accurate. The interesting bit to note though is that this project is the first I’ve taken on in nine years as a writer. 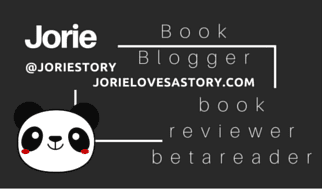 If you discount Jorie Loves A Story, as I started blogging five years after I won Nanowrimo. It is high time I start to get back into the groove of where my pen inspires me to embrace my own creative worlds and characters. I’ve felt this coming on for awhile now – but perhaps this is the Summer for sorting it out? I also found myself on Twitter quite a bit this week at key moments where something quite extraordinary was happening – whether this meant a threaded conversation, a life-affecting historical decision of the Senate or the realistic artistic portrayal of animatronics in Canada – this was the week, where it would appear being socially engaged on Twitter is a happenstance blessing for anyone in the 21st Century! I still remember how evocative this collection was to read, how powerfully stirring the poems were to find inside this raw and honest collection of poetry. I’ve been blessed many times over through my participation on Poetic Book Tours showcasing Contemporary Poets, of whom, I would not have otherwise crossed paths. This is what originally inspired me to work with Ms Cox, as I loved her philosophy of finding the story-tellers you might overlook or never discover, if her keen eye hadn’t first introduced you to their collective works. She works yearly with poets and the story-tellers who choose Small Trade & Indie routes of publishing. Saris and a Single Malt is a slimline paperback collection of poetry, speaking to the humble heart of truths where life and death merge into the legacy of a soul. The collection is precipitated by a quotation about ‘life, loss, and recovery’ where you gather the ending result for the author is in accord with it’s truism about how as devastating as loss can bleed your heart and affect your emotional well-being, there is a turning tide where all will become calm, where memories return and love forevermore is a lasting impression upon your heart. Healing takes time, as hours cannot be measured nor grasped how long a period is needed to recover from the shock of a loved one’s absence and their death which permanently shook them out of our everyday reality. In an unusual method of cathartic release, the poems, connective thoughts and essays are presented in a living sphere of conscious and emotional anguish as the author herself, flew back home to India to say her good-byes to her mother. An emotionally raw moment for anyone to come to terms with the sudden death of their Mum, much less for a writer whose pen can sometimes become unable to compel the words to fit against a blank page – somewhere in that emotional chaos, Vikram found her path towards healing her mind, spirit and heart through the words she’s left behind inside Saris and a Single Malt. Taken from this portion of my review: A harbinger of solemnity and of the truth of realising that you cannot escape the sorrows of your life, Vikram bleeds her emotions through the words of “I Write” with such heart-wrenching clarity as to be accurately representative of what you feel inside that moment of ‘how does time renew itself from here?’ How does one recover themselves to the point where ‘getting on’ with life doesn’t feel so empty and apathetic? Blog Book Tour | The *debut! * #shortstory release of “I Still Remember” by Priya Prithviraj! A dear friend of mine I met through a book blogger panel! Acquired Book By: I am a hostess with Writerly Yours PR – which is run by my dear friend Priya of whom I met during a blogger panel. We have become friends through our collaborations and it has been an honour to work with her on her publicity projects for Indie authors – most of whom I have been featuring a guest author feature as I cannot read digital copies of books. In this particular instance, I was allowed to print the PDF in order to read in full for which I was thankful to Priya for allowing me to do so in lieu of a paperback copy to read. I received a complimentary copy of “I Still Remember” direct from the author Priya Prithviraj in exchange for an honest review. I did not receive compensation for my opinions or thoughts shared herein. When you have a friend like Priya, you are wicked happy for them to enter into the season of their publishing endeavours – as they share something in common with you! You’re both writers who started blogging about your reading lives whilst awaiting a moment where your own stories would start to arrive in print (or in Priya’s case, digitally in e-readers!). I have a profound respect for Priya, as our friendship was carved out a mutual love of literature, of diverse stories and of the joy story-telling gives us both. We’re also poets inasmuch as we’re storytellers of fiction – something I found quite wicked interesting as not every writer is a poet nor every poet is a novelist. As soon as I learnt her short story was going to be a part of a blog tour for May, I was wicked excited to participate – not only to have a potential chance to ‘read’ a story of hers going into publication for the first time (always a thrilling day for a writer!) but I was so very happy to see this day arrive for a friend of mine! I love cheering and celebrating the writing careers of the authors of whom paths I have regularly crossed these past four years, but when you make a connection with someone you consider a dear friend in the book blogosphere – it’s a bit sweeter, isn’t it? I hadn’t known she was writing this story ahead of time either – therefore, I did not know anything about the plot, the characters or where the story would be set. I was happily surprised to find it was a coming-of age Romance from the point of view of Korean protagonists. I regularly read #diverselit and advocate for #diversebooks by my own tag (both on Twitter and on my blog): #EqualityInLit as I’ve been a passionate reader of diverse stories as long as I’ve been a reader (see also Post). This is a refreshing change of pace for the stories I find set in Asia or from Asian POVs in both Historical and Contemporary stories. I was excited to see how Priya set the foundation of her short and how she conveyed the arc of her characters’ journey through the duration of the story itself. Short Fiction is featured quite regularly here on Jorie Loves A Story, as inspired initially through short story anthologies published by Speculative Fiction publishers: Seventh Star Press and World Weaver Press, however, I have extended my readings outside of these Indie publishers in recent years as well. I have more short fiction arriving this Summer as I am finishing my readings of Indy Writes Books, Far Orbit: Apogee, Frozen Fairy Tales, Murder in the Generative Kitchen (see also Post), Shifty (see also Post), Trans-Continental: Girl in the Gears and Trans-Continental: Mississippi Queen (see also Interview). You will find more showcases of Short Stories & Anthologies across genres in my Story Vault. A few years ago (in 2015), I had the lovely pleasure of meeting Priya for the first time when our paths initially crossed during a book blogger panel – wherein we had the opportunity to sign-up for a blind match wherein each pair of bloggers were being interviewed by one match and interviewing a second match in an effort to connect book bloggers who might not have found each other otherwise. It was during this incredible event, Priya and I first met – sharing a conversation on Jorie Loves A Story and launching a friendship which has endured ever since. I started to host for her authors via Writerly Yours PR whilst maintaining contact with her about possible blog features we could host on each others’ blogs. 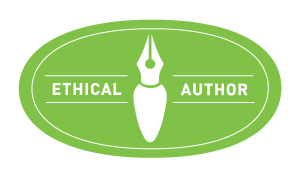 An instance of this is my essay about ‘Reclaiming my Writing Life’ which ran originally in  but re-published in  as an extension of how Wrimos love participating in Nanowrimo! (see also Post) We’re both writers who started a blog to focus on our reading lives whilst awaiting our season to publish our stories. Priya’s publishing season has arrived ahead of my own and I was thrilled to bits to be able to celebrate this milestone of her writerly career. I am disclosing this, to assure you that I can formulate an honest opinion, even though I have interacted with Priya through our respective love & passion of reading inside the twitterverse, kept in touch privately and having had previously been a book blogger / chat hostess for authors she helps publicize through Writerly Yours PR. I treat each book as a ‘new experience’, whether I personally know the author OR whether I am reading a book by them for the first time or continuing to read their releases as they are available.